and also a target of wedding photography scam. Was contacted by someone called Medline James and requested to provide wedding photography services for her boss's son. Cheque was issued with a payment amount significantly over the quoted rate, and was requested to send the remaining balance to someone else. Of course, this cheque will bounce and I will be out of pocket if I send the money. And the employees at Commonwealth Bank are not terribly helpful either. I had to explain to the guy FOUR TIMES that I suspect this is a fraudulent cheque before he realise what I was talking about. 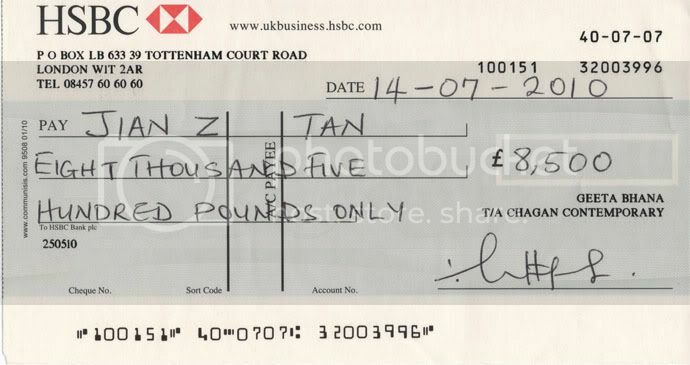 In the end, he still couldn't tell if this cheque is fake. So I googled and got my answer in 5 seconds. I hope others are as alert as you! Although it seems that bank employees might not be. New wedding photo gallery, check it out!